I fell in love with this oversized Piazza Sempione blazer and the blue interior. This Theory Bergdorf Goodman exclusive cashmere sweater is so comfy! 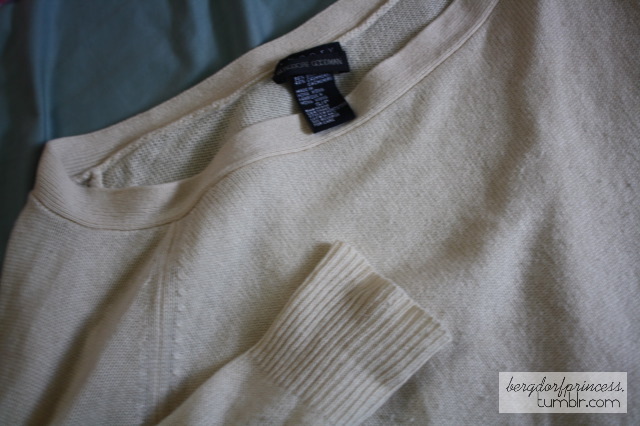 It reminds me of the Jil Sander cashmere sweater that I scored for $3. I fell in love with it because it reminded me of a tutu. It's the perfect party skirt! All of the items above were a mere $25 (altogether). I also got a few more things thrifting. 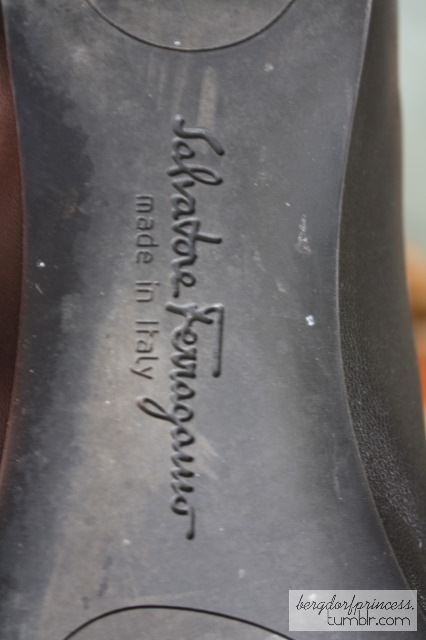 I found Salvatore Ferragamo flats that were pretty much brand new, albeit without the box, for $20. 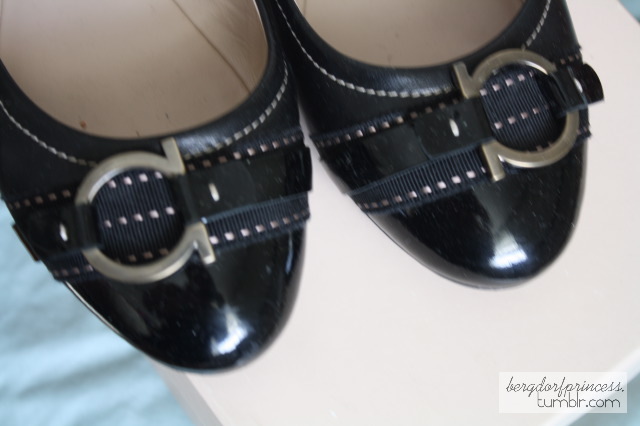 I took these photos after wearing them quite a lot lol! I bought a few things on sale at a local boutique, as well. This Pencey dress is long sleeved and has a gorgeous skirt. It's called the "window dress." This shirt was almost $200, but I got it for around $80. I also got three other pairs (I did the standard 5 for $25 thing and also got another pair on top of that). At VS, I also bought new stuff for the gym. For spending over $75, they gave me a free VS bag that I am not sure what to do with... It's a travel bag, so I suppose it will come in handy? I loved everything you bought! i have to ask, where on earth do you find all of these amazing pieces?! Love everything you got, specially that blazer! You're awesome in finding gems at a bargain!! How did you do it?! I love the tutu skirt ALOT! :) It's my favourite amongst your loot. The Chanel nail polish is also making me swoon. I've been tempted to buy a bottle..just couldn't decide on the colour yet. I'm different from you. I love zebra prints :) Followed by Leopard prints. But zebra print stuff are not that easy to find though. Where do you go thrifting at?! I love everything you bought! Fabulous. My goodness, absolutely drooling over your finds! **Bows down**. Really sweet blog you have too, came over from tumblr. omg i am sooo jealous where do you get these amazing deals?? are you going to tell us where you thrift, or not? Selfish.